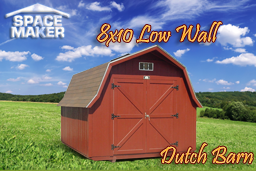 While Dutch barns are known for their specific shape and design and stand out as large and imposing because of the low walls on the long sides. 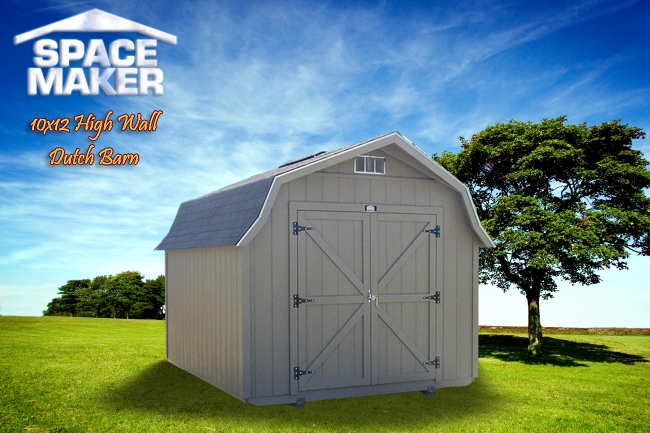 However, when you decide to use this design to build an aesthetically pleasing wood shed or other storage building, you may need more height on those sides while still maintaining this inspired shape. 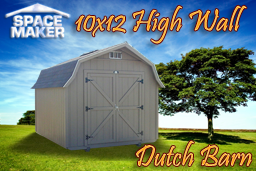 Instead of opting for plain steel buildings or other less attractive alternatives that may be fought over by the rules and regulations of your homeowner's association, the 10x12 high wall Dutch barn gives you the style you want with the space you need, simply raising the height of the side walls to create more space. Western Fir siding using a new technique with baked on primer so that the brown paint (or custom color of your need or liking) will stay on for a lot longer. A roof overhang helps protect the walls from the weather on all sides, further adding to the life span of the building. 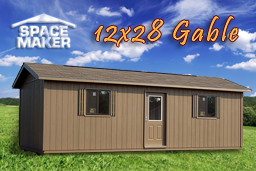 Insulated roof decking and 25-year shingles, with an option to add a metal roof instead, if this will make you more comfortable. 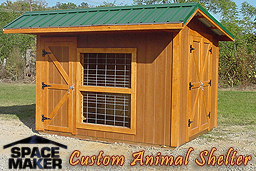 Use it as a dog or cat house, giving your pets their own animal shelter so they are protected without being underfoot all the time. You can guarantee the safety and care of your pets even during the worst weather. 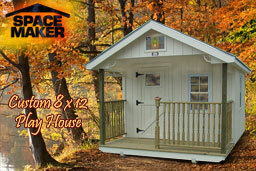 Explore your ideas for a wood shed or storage for your outdoor furniture with confidence. Because the walls are slightly higher than the proportions of a standard Dutch barn, the high wall Dutch barn has additional space and doesn't look quite as large as the old fashioned large buildings did. 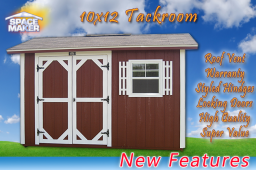 However, the beauty of the design, customizable window, shutter, and shelving options, and sturdiness of the construction on this 10x12 building is perfect for any use.